Shows how much I watch the sportscast. It's not that but rather there aren't many that occur when I'm up or around a TV. 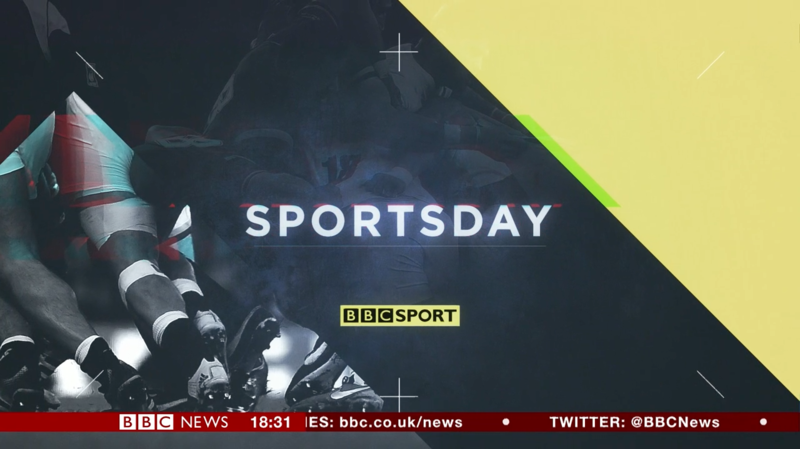 In the evening in the US all the sportscasts are preempted (the ones after ABR) and the rest are during the day. There are five sporcasts during the week in North America versus 9 in Europe. 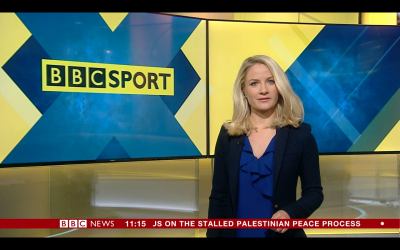 I wonder, with the talk of an Outside Source style touchscreen, if the Sports bulletins will become similar to what Sky Sports News HQ do on Sky News? That looks so much better. Now, when's Breakfast moving in too? 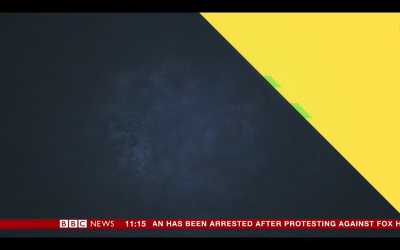 Headline wipe is really nice on screen, quite fast to catch though. Looks really good on screen. As I said before, when's Breakfast moving in there too? Hands up who also spotted the old Sportsday branding in the background on the right of that wide shot? 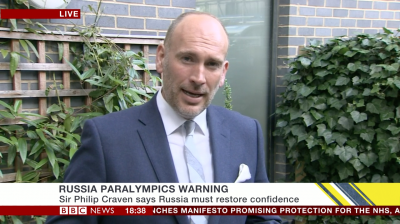 I noticed it at 6:30 on BBC NC. 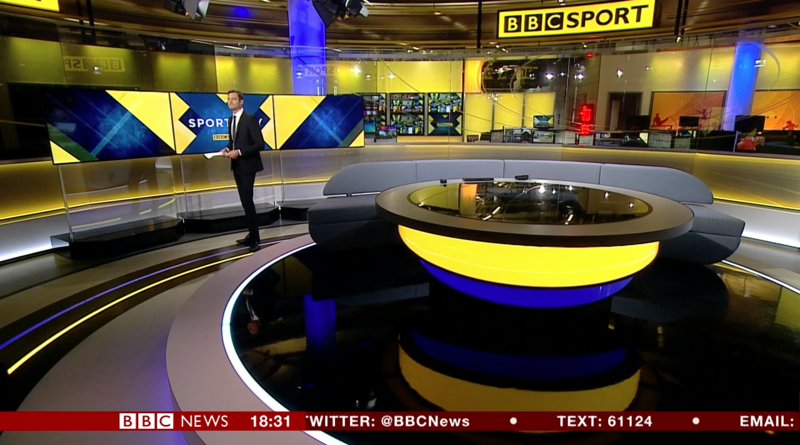 Much better, and cleaner, with no more confusing red elements representing the news brand. It's certainly come along way since it's first use on screen. What exactly took so long for the changes? 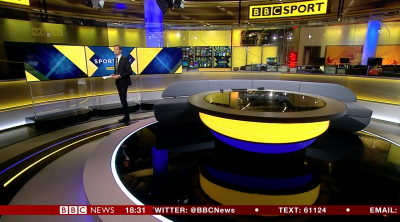 It looks like they moved the LCDs together and added a couch. The glasss etchings look the same. Don’t let anyone treat you like you’re a VO/SOT when you’re a PKG. I disagree. I think it looks quite different in terms of functionality. 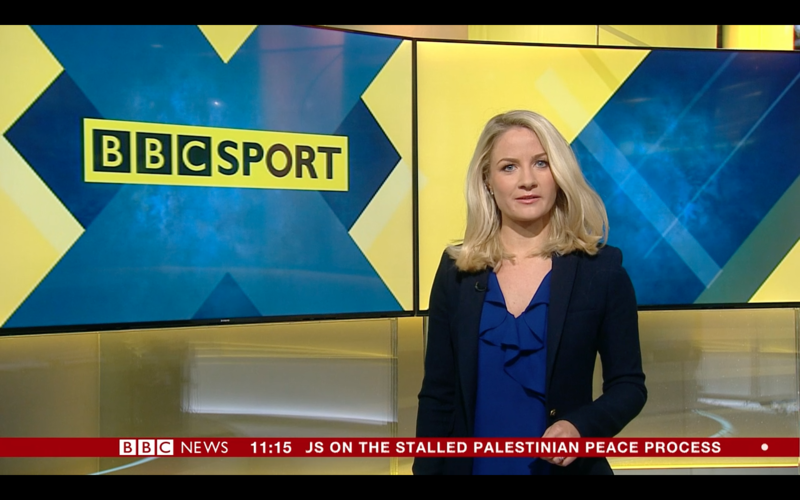 The only permanent BBC Sport branding is in the light box above the desk. Everything else can now be changed by lighting and on screen graphics. The dais is also different as it has more colours. 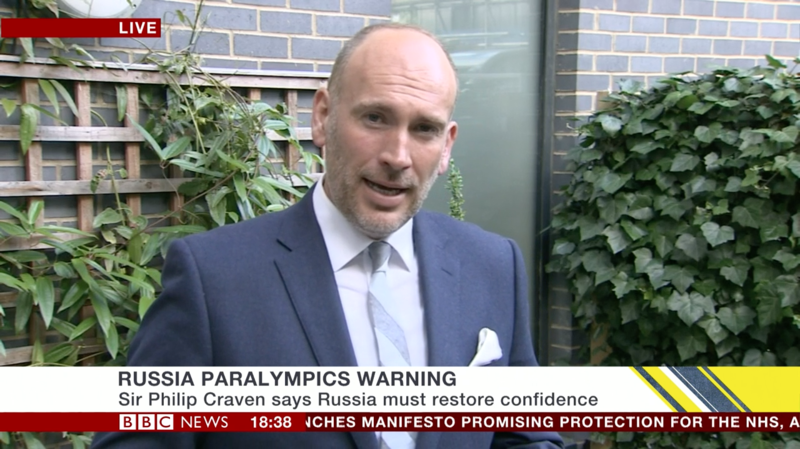 I do wish they would move BBC Breakfast into there, although there would be an issue about the absence of a 'performance area'. Is this MP's sweary response where we've got to on Brexit?